The gently rolling B.A.T.S. 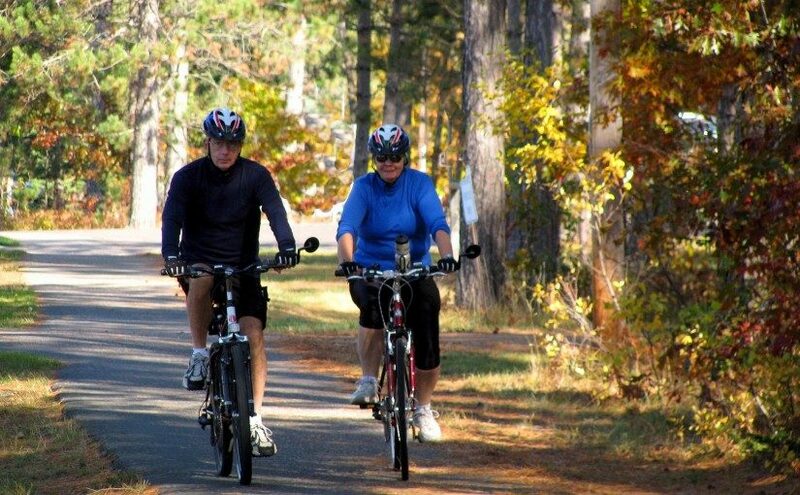 – Crystal Lake Trail (Boulder Junction Area Trail System) lets bicyclists enjoy all the scenic beauty without any of the traffic hassles on the county highways. It starts in Boulder Junction and is 13 miles one way, passing by Trout Lake and Crystal Lake. Free parking and a beautiful trail.